Wimbledon kicked off this week, so it’s only fitting that we mention the recent unveiling of a plaque commemorating the first ever Wimbledon Championships, held in 1877. 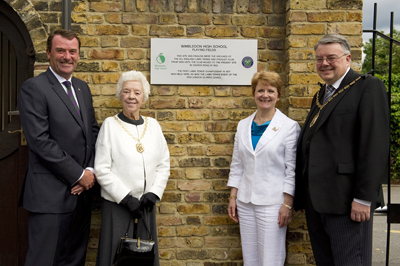 The plaque was unveiled last Monday on the former site of the All England Lawn Tennis and Croquet Club just off Worple Road in Wimbledon. As well as the first championships, it also commemorates use of the site for the 1908 Olympics tennis event. The location of the former club, which it occupied until 1922, is now used as playing field by Wimbledon High School. The club is now based in Church Road opposite Wimbledon Park. 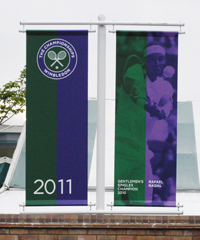 For more on the history of Wimbledon, see our entry from last year’s event here. For more on this year’s event, see www.wimbledon.com. PICTURES: Top – The Championships being played at the former location in Worple Road (© Wimbledon Lawn Tennis Museum); and, at the plaque’s unveiling featuring the chairman of the All England Lawn Tennis and Croquet Club, Philip Brook, Wimbledon High School headmistress, Heather Hanbury, and the Mayor of Merton, Cr David Williams (© AELTC/Thomas Lovelock). 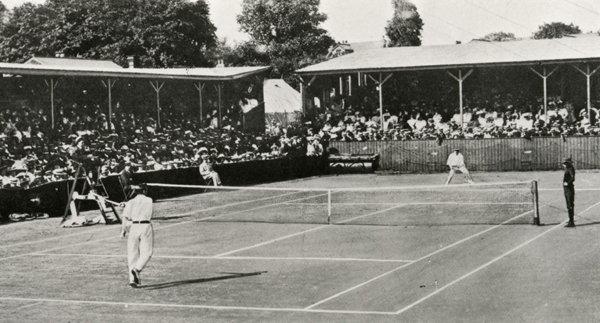 With Wimbledon now in its second week, we thought it would be a good time to take a look at the origins of what is the world’s most famous tennis championship. This year’s Wimbledon marks the 125th time that the All England Lawn Tennis Club has hosted The Championships. The first championships (Gentlemen’s Singles only with a field of 22) were held in 1877, just nine years after the founding of what was then the All England Croquet Club (lawn tennis was added at the club in 1875 and the name changed to the All England Lawn Tennis and Croquet Club the same year the first tennis championships were held). It’s important to note that the first championships were not held at the current site opposite Wimbledon Park but at the club’s former site off Worple Road (it’s from this site that the term Centre Court was adopted for the main arena – at the Worple Road site, Centre Court was indeed in the middle of the grounds). It moved to its present site in Church Road in 1922. Such was the success of the game that in 1882, the name croquet was dropped from the club’s title but it was returned in 1899 for “sentimental reasons”. • 2010 – John Isner and Nicolas Mahut played the longest tennis match in history with Isner eventually winning 70 games to 68 in the fifth set, having played a total of 138 games, and spent 11 hours and five minutes on court over three days. 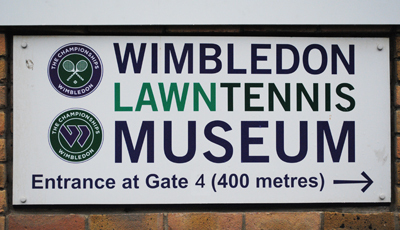 There is a museum based at Wimbledon which details more of the history of the place (only open to ticket-holders during the Championships). Exhibits include the Championship trophies, tennis memorabilia dating back to 1555 and the ‘ghost’ of John McEnroe talking about the games and his opponents in his old dressing room. There are also a range of events being held this year marking the 125th year of The Championships – these include a new museum exhibition called The Queue.